This case, concerning sales of flag poles for attaching flags to cars, that infringed a registered design, is a landmark case, in that this is the first time that the Israel Supreme Court has ruled on damages for design infringements. With the high-profile Apple vs. Samsung case in the US and Europe, and a new Israel Design Law in the works, this ruling is a significant one. The case relates to a subcontractor who was contractually bound to use a supplier’s mold for fabricating plastic flag holder staves for hanging flags from cars. The design of the flag holder staves was registered. 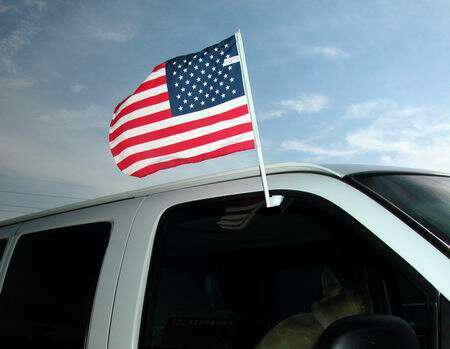 In the aftermath of the 9/11 disaster in the US, there was a tremendous demand for car flags as a sign of patriotism and empathy, and the subcontractor decided to make and supply such flag posts directly, bypassing the supplier. They Appellant supplies flags on flagpoles, including flags on poles that are attachable to the windows of cars. These are very popular in Israel around Independence Day. The appellants have registered designs for car flag poles, The defendant, Super Plast Company Ltd., makes plastic products, and the second defendant is its owners. Super Plast signed an agreement with the appellants to manufacture car flag poles for them, in accordance with the registered design and using a mold for injection molding the car flag poles that is owned by the Appellant. Following the 9/11 disaster, there was a surge of patriotism in the US that created a demand for flags and flagpoles, including car flags and car flag poles and the Appellant ordered more poles from Super Plast. However, Super Plast manufactured and sold approximately 1,000,000 flag poles directly to customers, in contravention of their contract, and in infringement of the registered design. They didn’t have time to fulfill the Appellant’s order, since they were using the appellant’s molds to manufacture flagpoles for third parties. The District Court set the damages due to the appellants by the defendant at NIS 200,000 or about $55,500, based on a calculation of 1 million infringing car poles being sold at a profit to Super Plast of 20 aggarot (about 5.5 ¢) per pole. The appellants claimed that the District Court erred in quantifying the damage as the profits made by the infringers – their unjust enrichment, but should be calculated on the basis of potential sales lost by the appellant, which they’d estimated as NIS 3.8 per product for a flag on a pole. According to appellants calculation, the damages should have been NIS 3,600,000. Alternatively, and noting that the defendants had provided partially records only, appellants claimed compensation without proof of damage as provided for in Section 13 of the Commercial Wrongs Act, at NIS 100,000 per infringement, and since defendants had dispatched 36 separate orders for flag poles over the 5 1/2 months period from 9/11 over which there was a high level of demand, the appellants reached the same sum of NIS 3.6 Million in statutory damages without proof. The defendant accepted the district court’s ruling and noted that the issues were essentially factual and that the Court of Appeals rarely got involved in such issues. The Supreme Court held that Section 37(2) of the Patent and Design Patent Ordinance – which deals with infringements of registered designs allows calculation of damages based on damage caused to the rights owner, i.e. the loss of potential profits that could have been made or compensation based on the infringer’s actual profits, (unjust enrichment). What are the principles for calculating compensation for the to the owner of the design patent? Can compensation be granted on the basis of loss of profit caused to the designer or should it be based on actual profits of the infringer? Will compensation based on lost profit be calculated according to real profit loss or to potential profits lost? of profits? Specifically, should the compensation for infringement be based on estimated real damages caused to the appellants as a result of them not selling the flag poles, or should the damages be calculated on the basis of lost profits from not being able to sell a million car flags on their poles. Should the Court rule statutory compensation without proof of damage as a substitute remedy, and what constitutes an infringement? Specifically, should separate batches be considered as separate infringements, or should the whole case be considered as one registered design being infringed? Since the current archaic ordinance is a leftover from the period of the British Mandate, the Supreme Court considered it reasonable to adopt common law principles and ruled that the Patent and Design Patents Ordinance should be interpreted to allow compensation for breach of right in registered designs on either the basis of loss of profits to the rights holder, or of infringer profits, which ever is higher. In lieu of Israeli precedents, the ruling brought comparative analysis from UK and US case-law, including classic British cases relating to the equivalent of the Mandatory Ordinance still in force. The ruling quoted from American Plywood, the classic US case that relates to damage calculations, and also to the recent Apple vs. Samsung design cases. a partial demand for the product, i.e. pole with flag, was proven, but that at least some of the flag poles sold would have been sold to manufacturers who would have assembled the flag and pole combination themselves. Indeed, the appellant had been known to sell flag poles only. Fourth, during the high demand period following 11/9 events, sales of poles reflected the market demand for the whole product (pole+flag) and it was proven that, absent the infringements, the appellants would have sold the poles and flags in a similar amount as the defendants did. This was constituted the basis in damage to the appellants for calculating the amount of compensation. The Supreme Court found that, but for the infringement, the appellants would have sold at least 250,000 units of the whole product but no more than 377,100 units, these numbers being based on orders and inquiries to the appellant. It was noted that there were other car-flag posts on the market of other designs, and that eventually cheap car flagpoles were available from China. On the basis of this range, which indicates that potentially somewhere between a quarter and a third of flag poles would have been sold as whole units, but noting that the registered design didn’t actually cover the flag+pole but the pole only, for calculation purposes, the Supreme Court estimated the number of flag+Pole combinations that would have been sold was 300,000. However, the estimated profit of sales of pole + flag was NIS 2.65, since there were costs involved as well, thus, the loss of profit for appellants was estimated as being NIS 795,000. In addition, there were a further 700,000 poles that the infringer made and sold, and the appellant was entitled to the unjust enrichment from these, which was calculated as a further NIS 121,006 due to unlawful production of poles prior to 11/9 attacks. As for the statutory compensation, the Supreme Court ruled that in the specific circumstances there is no justification for ruling statutory damages since there is a way to remedy the appellant based on loss of profits. In conclusion, the total damages awarded were NIS 916,006, to which was added a NIS 150,000 in legal costs. The case: Appeal to Israel Supreme Court, Ronit Digley Umot Ltd. v. Rony Shatan (Hon. Jdg. Solberg, May 13, 2013). Apart from the fact that this is the first time that the Supreme Court has addressed the issue of calculating design damages, we suspect that with the recent high profile Apple vs. Samsung cases concerning the design of smart phones, the judges couldn’t resist having their say. In Apple vs. Samsung the functionality of a product is copied, and the design is part of a trend towards general simplification of design. The Apple i-Phone was certainly an inspiration of the Samsung design, and whether or not a court finds an allegedly infringing smart phone as too similar to a registered design in Europe or to a design patent in the US is merely a matter of whether it is too similar. It must be appreciated that there are arguments for both sides – which is probably at least contributory to the European and US courts reaching different verdicts. In this case, a subcontractor knowingly used a mold belonging to the plaintiff. This is a case of willful infringement that in the US would probably carry triple damages. Noone who follows this blog will accuse me of being anything a fan of A.Sh.I.R. and I believe that to obtain protection one should register one’s design. I am an unrepentant formalist. Nevertheless, in a case like this I see a justification in allowing claims of Unjust Enrichment, since the defendants willingly abused their contractual obligations to make a fast buck. The issue of profit to infringer or loss to supplier is a general one. For example, the US calculates the value of infringing products originating in China in terms of value on arrival in the US, whereas China argues that the cost on exiting China should be used. The US suppliers sell the goods at about 10 times what they pay for them in China. ‹ Teva to pay out $1.6 Billion to Pfizer and Takeda in Damages for Infringing Patent for Protonix.